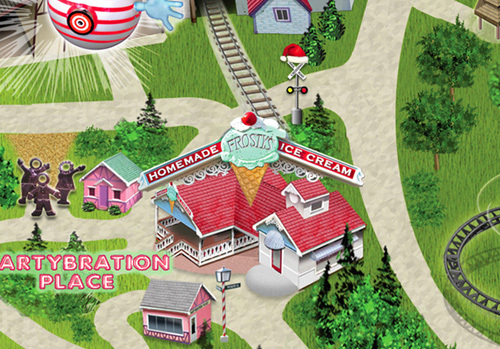 We make our own special-flavor ice cream right in the store at Frosty’s Freezer! Some of our favorite flavors include Zing-A-Ling (coffee) and Frozen Hot Chocolate (chocolate)! Right along with cookies and fudge and mini doe-nuts, ice-cream is on Santa’s favorite list for desserts. Visit Frosty’s Freezer for great hard or soft ice cream, sundaes, and frappes.